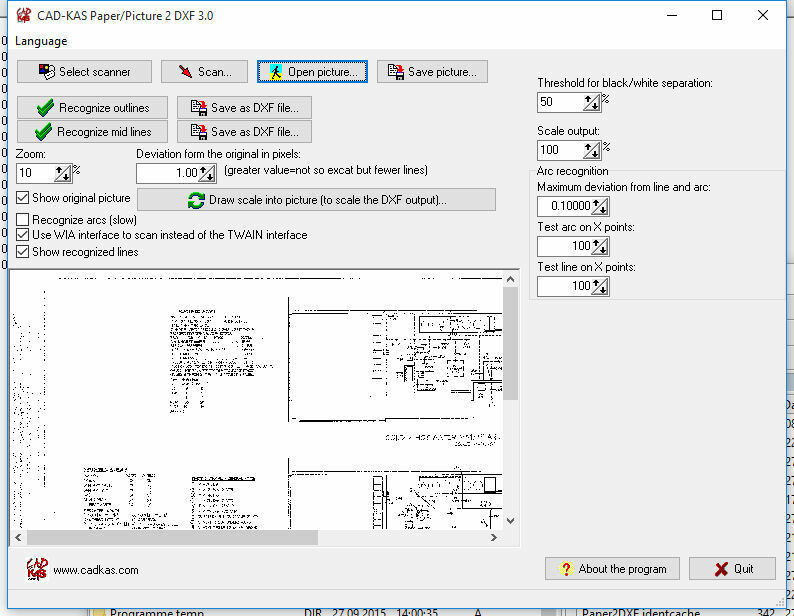 Convert CAD drawings from paper sheets or pictures into digital DXF files for editing in your CAD application. Scan a drawing or open a picture from your hard disk. The program recognizes the lines and saves the result as a DXF file. It first converts the image into a black and white image. You see a color histogram so you can see where to set the threshold to decide if a color should be threaded as black or white. 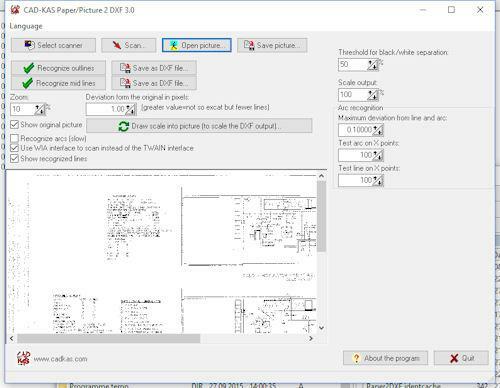 This saves much of time and money if you need to import paper drawings into your CAD application. To vectorize a picture manually you can use our program Trace and vectorize 1.0. 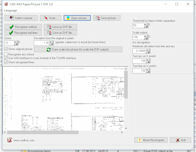 To extract the lines from a pdf file you can use PDF 2 DXF. To do get a level view of a drawing on a photo and convert it to DXF you can use Photogrammetric image rectification. Paper/Picture 2 DXF has been awarded with the 5 stars award by software directory www.daolnwod.com. Paper/Picture 2 DXF has been awarded with the 5 stars award by software directory www.softforall.com. Paper/Picture 2 DXF has been awarded with the "Editor's Pick" award by software directory www.filetrial.com. Paper/Picture 2 DXF has been awarded with the 5 stars award by software directory www.onekit.com. Paper/Picture 2 DXF has been awarded with the 5 stars award by software directory www.downloadjunction.com. Paper/Picture 2 DXF has been awarded with 5 of 5 stars by software directory BrotherSoft.com.